A holiday is the time of the year which people use not only for additional rest but to reunite with their family and friends. It is a celebration of a specific purpose or event which may turn out to be a gathering of people who have not seen each other for a period of time. Holiday celebrations are usually spent in the home of the host of the celebration or sometimes in function halls and other event areas. A holiday dinner is very usual as it provides a more intimate setting in terms of conversing and celebrating the holidays. 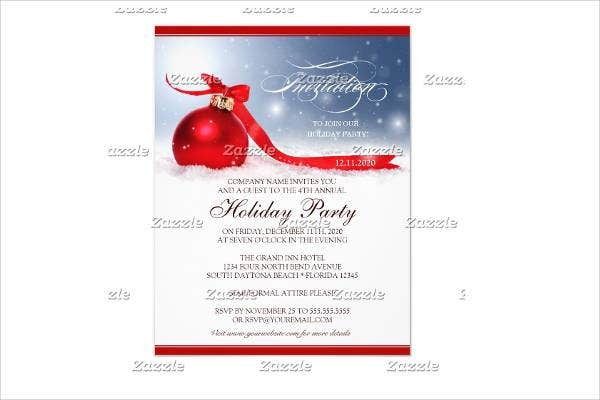 We can provide you with Invitation Templates which you may use not only for holiday dinner invitations, but also on other occasions and events. 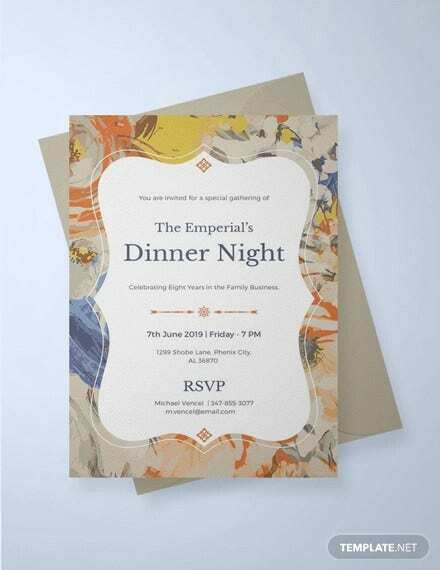 Assure that the theme of the holiday to be celebrated can be seen in the design of your holiday dinner invitation. 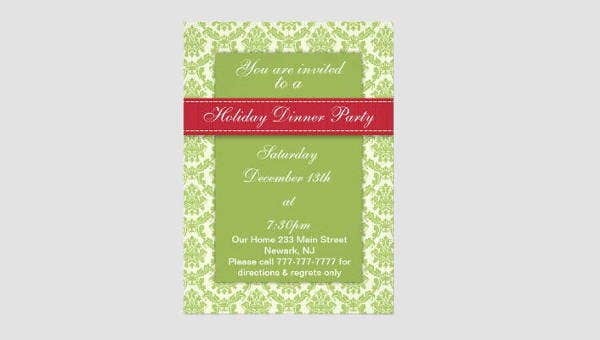 The design of your holiday dinner invitation can also reflect the kind of holiday dinner that you are hosting, so you need to be careful with the design items that you are to put so to not give the wrong impression for the people who are to receive it. 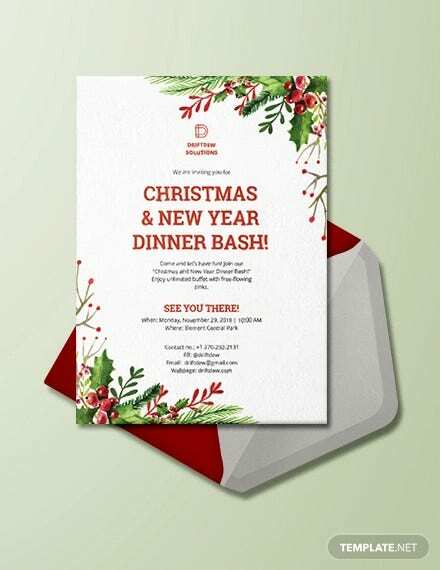 Make sure that the overall look of your holiday dinner invitation is appealing and that there are no design items or texts that can distract or ruin the overall quality of the holiday dinner invitation. 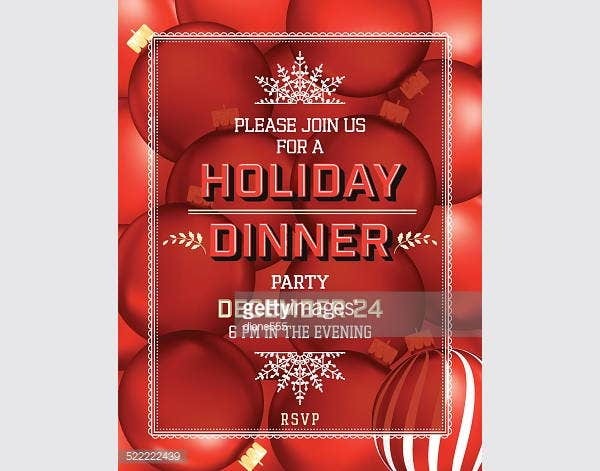 Assure that all the information that are needed to be known by the guests who are to attend the holiday dinner is written in the invitation and all of them are readable. 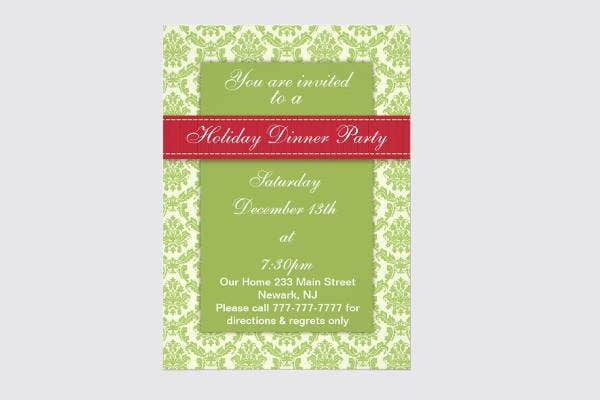 Your holiday dinner invitation must have a template that can provide all the spaces that are needed for the placement of both design items and information about the holiday dinner. 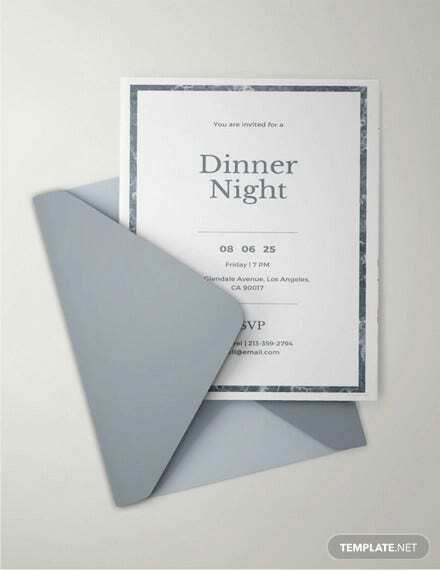 Other than our templates for a holiday dinner invitation, we also have Dinner Invitation Templates, which may be used in the creation of invitations for other dinner functions. It will allow the invited people to clear their schedules and celebrate with you during the holidays. It can make the invited guests aware of the holiday dinner ahead of time so they are to not plan about any activities during the holidays in the specific time where you are to host the dinner. It helps give information about the holiday dinner, and it can also give an idea of what your guests can expect about the dinner gathering. 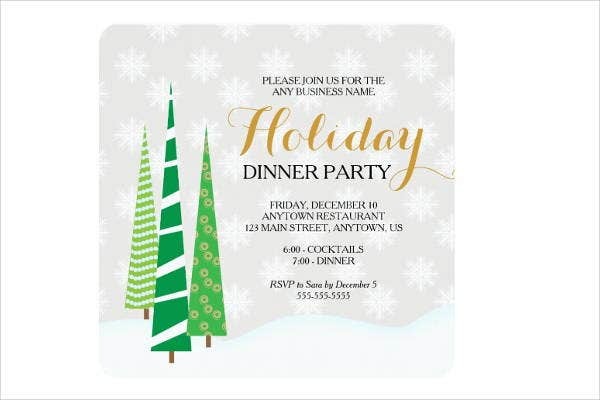 A holiday dinner invitation can give the impression that a holiday dinner is well planned and well thought of which gives more reason for the invited guest to come over and celebrate at a specific holiday dinner function. 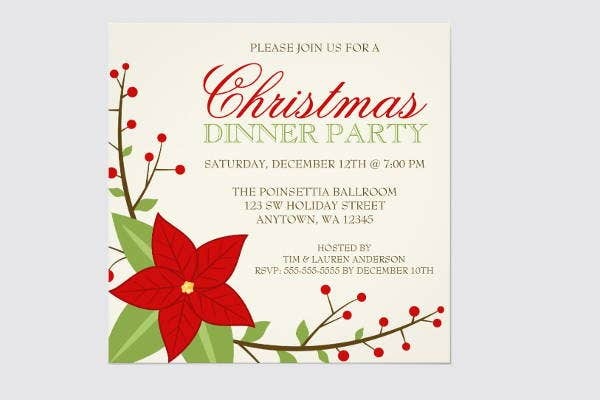 So the next time that you are to host a holiday dinner, make sure that you are to use a holiday dinner invitation. 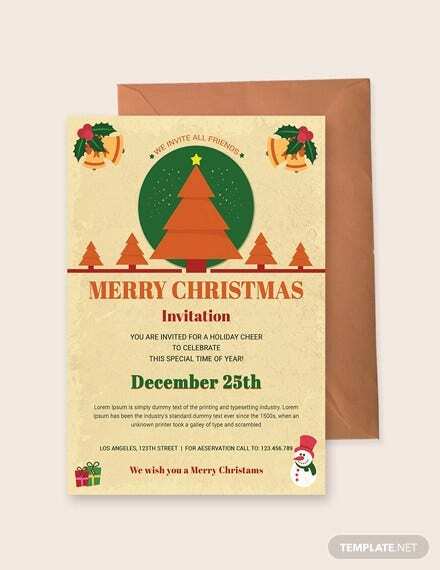 It is very important to have one and the abovementioned statements sure can convince you about the advantages that a holiday dinner invitation can provide. 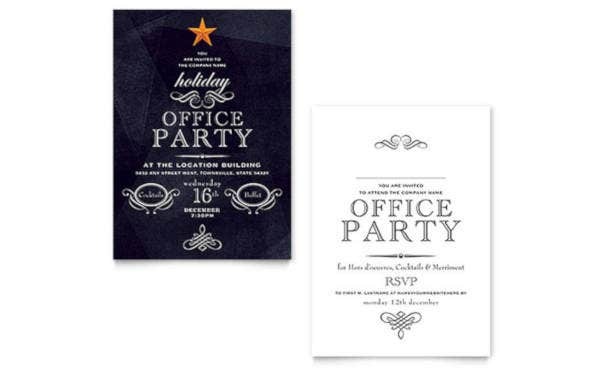 Aside from our holiday dinner invitation, you may also want to download our Holiday Invitation Templates and use it as an invitation for any other activities that you want to host during the holidays.